Despite my good friend and buddy Anders mountain the other day said that his stomach for a whole week not had time to digest the former bread, I let me not be frightened. 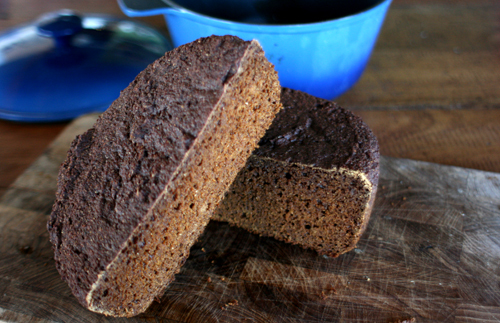 Here is another recipe for rye bread. One can not help his good friend’s spoiled (?) Belly prevent the bread exciting experiments. 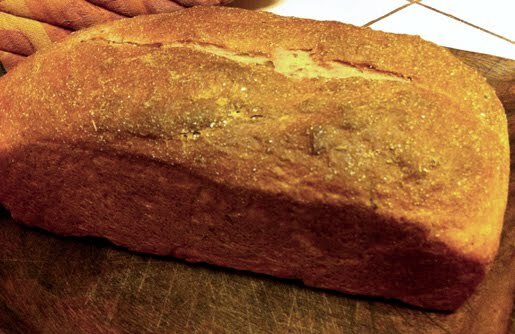 I believe that this bread is easier to achieve than (the uncompromising) caraway bread . Not as rough and contains several different flours (but both the coarse and fine rye flour should be made ​​of 100% whole grain, see the bags contents). The bread also contains a little syrup. 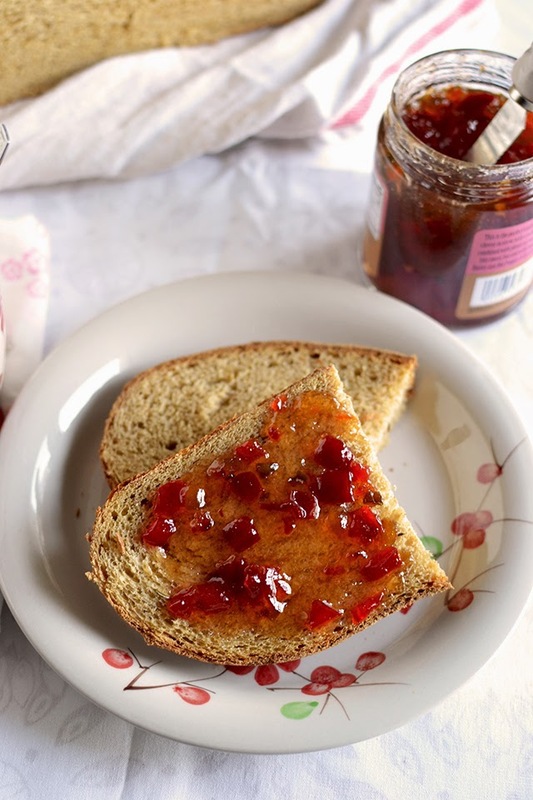 The dark syrup and aniseed is a very fine combination that gives a rich and aromatic flavor to the bread. 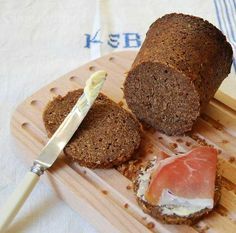 This bread is suitable for most kinds of toppings and food, including fish and herring. 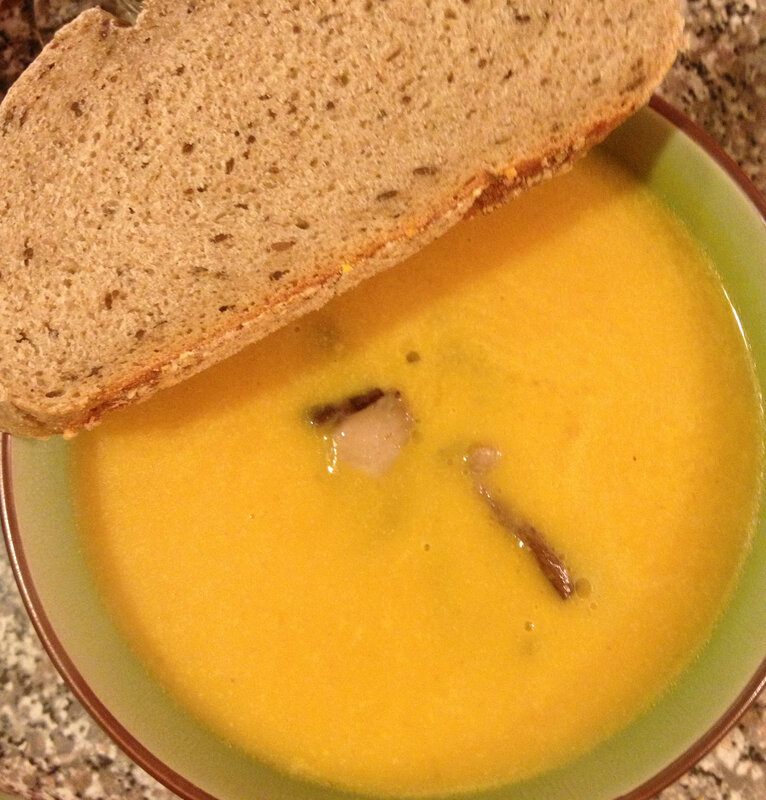 The bread can be eaten when it has cooled down but then, all of rye bread, sticky when you cut into it. The tackiness disappears after a few days and you can then cut the thin slices anywhere. I bake the dough bowl, by hand, with a wooden spoon. 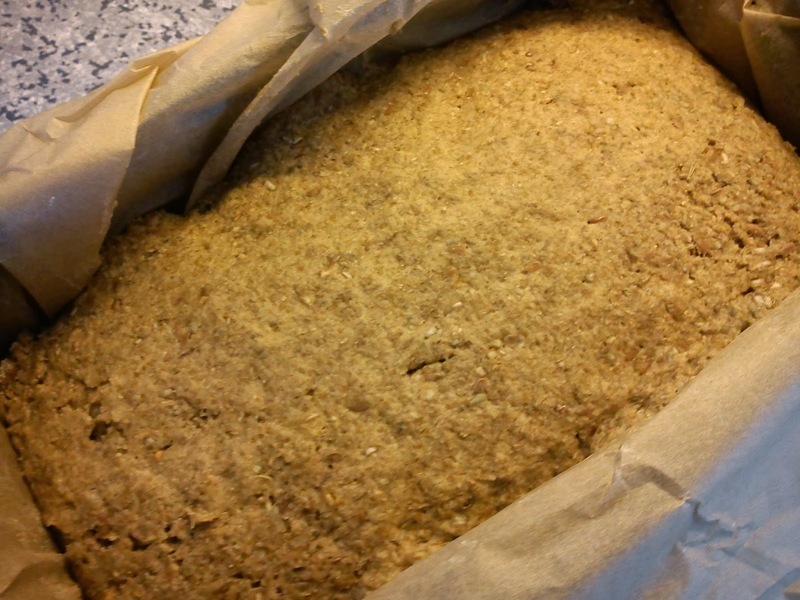 Take a bit of water and mix the yeast, salt and aniseed support. Add the remaining water and the syrup. Mix in the coarse rye flour and then the flour. Take finally the fine rye flour to the proper consistency. The dough is then fixed and sticky (here comes the experience in). Sprinkle a little flour so that the dough does not dry. Let rise in a refrigerator ½ day or overnight. Cover with a cloth or sheet to prevent drying out. Grease a 1½-liter form properly so that the bread does not stick or crack during baking. Work a little more with the dough and divide it then in the shape of a spoon, press down so that it fills the corners and edges.Flatten. Let rise under a cloth for 2-3 hours at room temperature (this rye bread ferments slightly more than caraway bread but not nearly as much as wheat dough). Above: The fermentation is completed and the bread is ready to be set in the oven. The dough is gray and rather bland. But it changes the baking! In the oven the bread ferment some, but at the end lost some moisture in the form of steam and bread shrinks again. Ugnstemp 225-250 degrees, about 1½ hours (easiest to use the meat thermometer and take out when the bread has reached about 98 degrees). Use the lower half of the oven, place the mold on the grid. The bread gets dry, dark crust, which fits well on dark rye bread, but keep baking supervised so that it does not get too burnt on top. The cover in this case with foil or parchment. 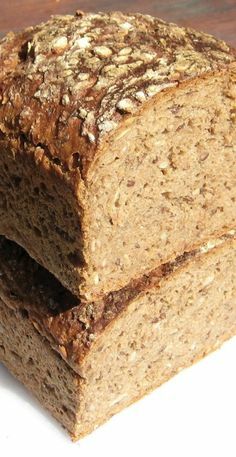 Above: The bread, dark brown and fragrant. If the shape is well lubricated detach it from the edges already in the oven. Remove the bread from the mold and let cool on a rack in a kitchen towel. When I baked last time I got about 925 g finished bread. If you do not mind carrying a little weight in the backpack, I think this is a very appropriate bread. It is compact and will not be printed together as softer bread. Last long and not get moldy if you first put it in a rough paper and then take a plastic bag on (you should always avoid plastic directly against the “wet” foods like bread, cheese and meat). 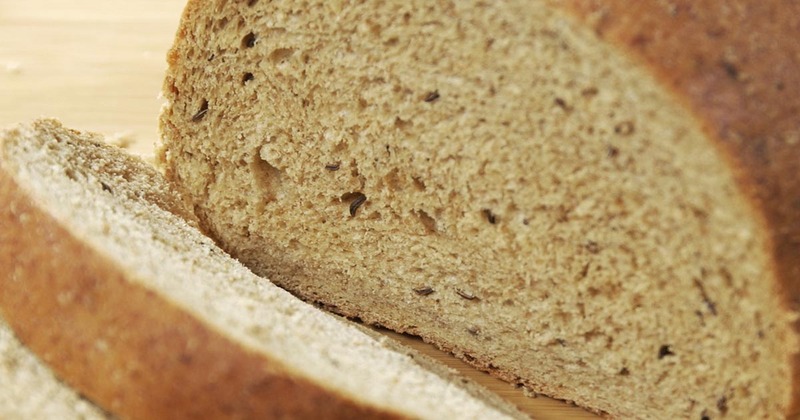 Unlike the bread that is baked from wheat, rye lose no taste after a few days, and it tastes as good after a week or more. That you can cut very thin slices making it lasts. To try to bake this bread with outdoor kitchen in the field, I would probably advise against. 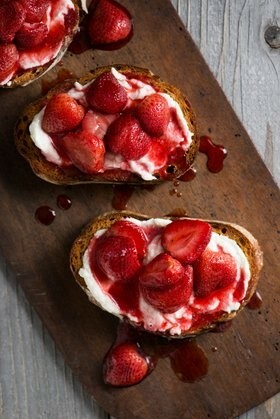 Firstly, baking quite time consuming, and have difficulty getting it cook properly. If baking is not sufficient the bread soggy in the middle and not particularly appetizing. For those who want to bake bread in the field, I have much simpler recipes (see label Baking). I welcome your views and experiences on rågbröden.